You are no longer the superpower. Time for a new breed of war. Call of Duty: Ghost is changing the game, and bringing something radically new to the campaign. For the first time in the series, you'll want to sit down and play through the single player first and foremost, rather than immediately jumping to the multiplayer. You are not the superpower anymore. After some event, the United States is no longer the superpower it once was. You take on the role of a unspecified male as you and your older brother have joined the ranks of the remnants of the United States special forces who have since banded together and now call themselves Ghosts. Also with you is your trusty service dog that is just as integral to your team as like any soldier. For the demo, you return home to the city of San Diego. The destruction of the city is almost palpable. You first gaze upon your destroyed house and like any post-apocalyptic, you get the standard treatment of overgrown foliage and a broken down domicile. However, the real visual treat comes in right behind it. The city of San Diego has been devastated. Where the bustling highway once was now sits a huge crater that has swallowed up countless cars. What probably made this scene even more jaw-dropping had to be due to the game’s graphical prowess. 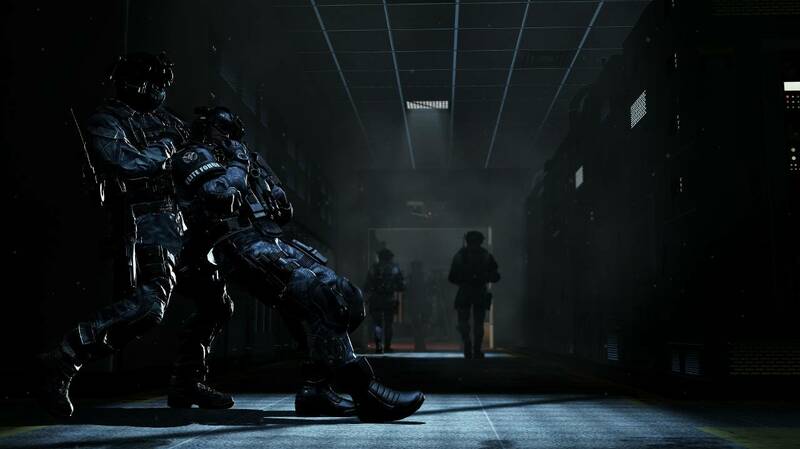 Call of Duty: Ghosts utilizes high-res mapping or displacement mapping. What this does is make textures pop out even more so it seems like you are staring at an almost-perfectly rendered environment. 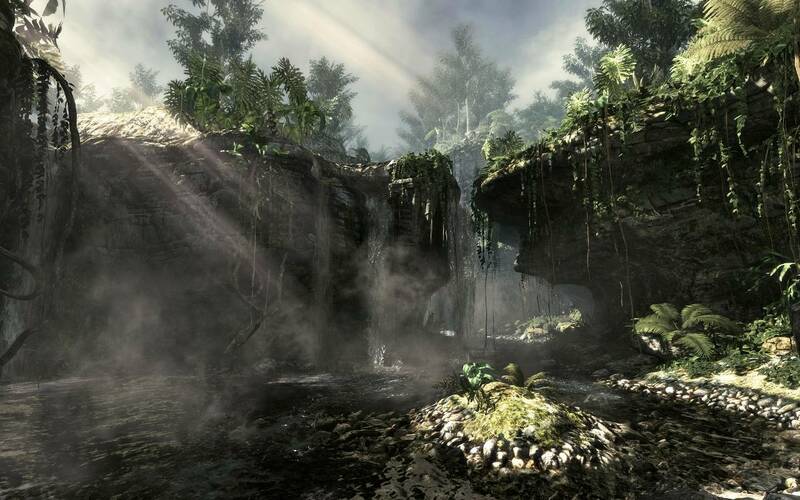 The developers on hand showed off the use of this in the game where as without the high-res mapping active, stones next to a flowing river look move and one with the ground, whereas with the new tech active, they look more jagged and realistic. The dog, named Riley in the demo, has been very much a highlight all over the internet and it seems to function like a tool in Call of Duty: Ghosts. During the San Diego portion of the demo, Riley could be used to stealth kill an enemy while your brother picked off the rest of the soldiers. Next, Riley can be used as a distraction tool given your brother the opportunity to pick off soldiers one by one. It wasn’t spoken outright, but it seems that you will be able to control Riley in these instances as the view changed to a first person view mode of a camera attached to the dog. In another interesting use Riley can be used as a breach tool very efficiently. The brothers set themselves up on the outside of a house while Riley jumped through a window. The enemies occupying the house quickly burst out of the door and like any breach moment, the scene went into slow motion giving you the opportunity to pop off every enemy on screen. Next, the demo switched over to an underwater level in South America. 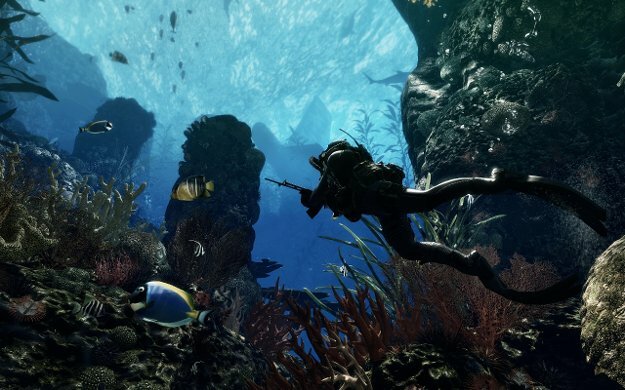 For the first time in the series, we have actual underwater combat. The gun on display was very effective; however, since the bullets were traveling in the water, it took a little bit longer for them to reach a target. 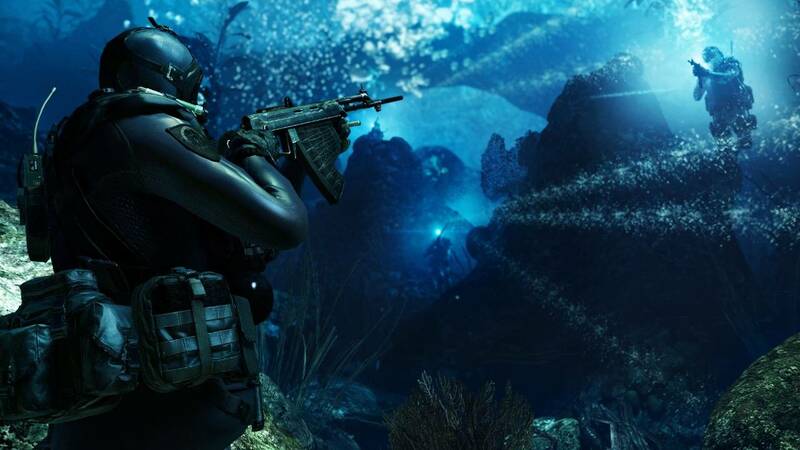 During the level, the player as well as the brother took refuge in a submerged lighthouse which led to a thrilling Jerry Bruckheimer-esque moment that had the lighthouse sinking around them which quickly escalated into a firefight. 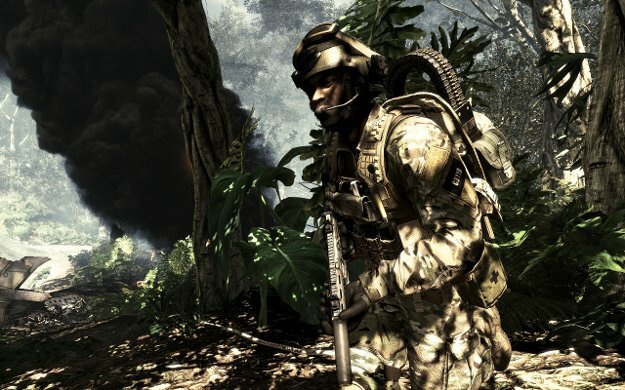 None of the multiplayer for Call of Duty: Ghosts was shown during the demo, but at this point, I am still enthralled with the direction the campaign itself is going and looks to be worth the play through alone. 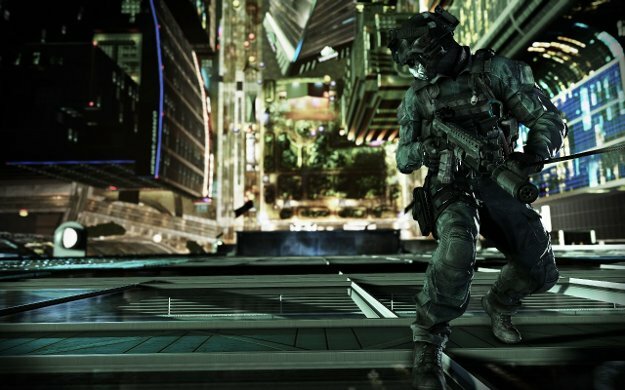 This new direction Infinity Ward is going with the series looks to be a title to keep your eye on.